Joint Base Langley-Eustis was created in 2010 with the merging of Fort Eustis and Langley AFB in the historic Hampton Roads area of Virginia. Though geographically separated, the bases are near some of the most picturesque scenery you'll find anywhere. 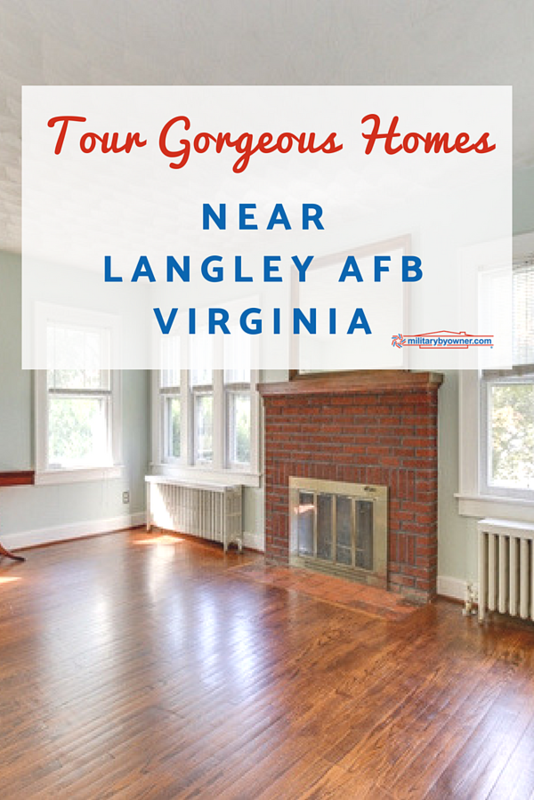 This week, we're highlighting homes in Hampton and Poquoson within an easy drive of Langley AFB! If hours of HGTV watching have made you long for the coziness of a Craftsman style home, look no farther. Combining the charm of yesterday with the upgrades of today, you'll feel right at home in this two-bedroom, one-bath home. 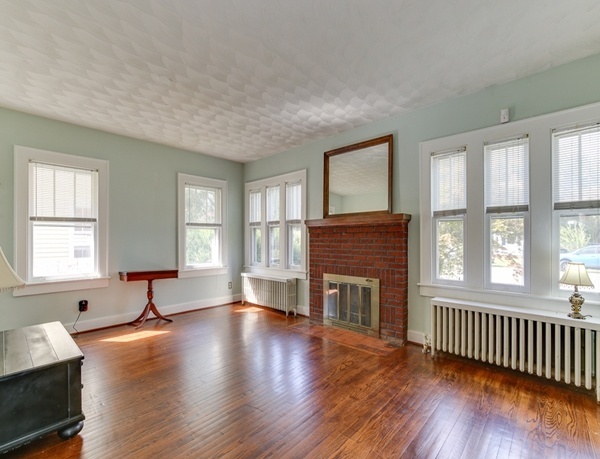 A wall of windows makes the living area light and airy, while beautiful hardwood flooring, custom moldings, and a quaint brick fireplace offer a Pinterest-worthy canvas for your decorating skills. Appliances, counter tops, and flooring have all been updated to today's standards. The spacious master bedroom even features a walk-in closet. And you won't lack for storage with the detached garage, attic, and basement that are part of this home. You may feel a "Chip and Joanna" vibe as you prepare meals in the kitchen with its gorgeous glass front cabinets, complete with decorative medallions. 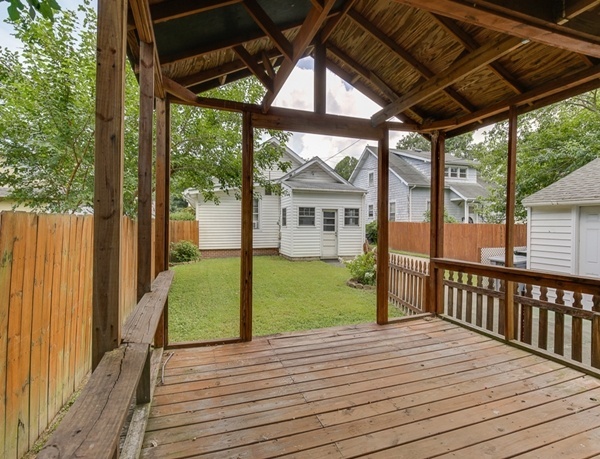 And after a long day at work, the enclosed back porch, fenced in yard, and gazebo offer a true escape as well as a unique avenue for entertaining. 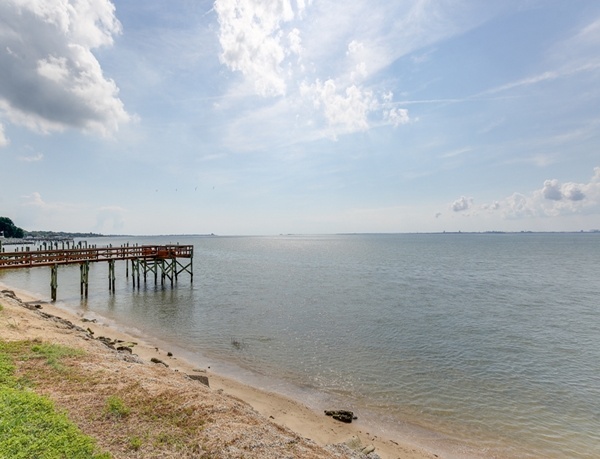 Located in historic Wythe, it's an easy jaunt down to Hampton Roads Harbor to take in the sights and sounds of the region. 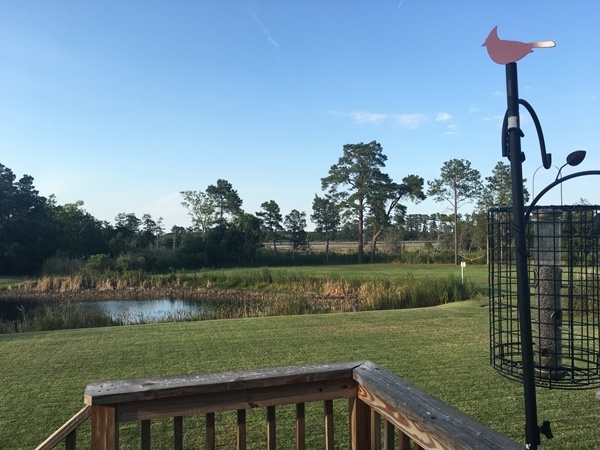 Just minutes from the Langley AFB main gate or the NASA gate, Poquoson is one of the area's best kept secrets with its small-town vibe and military friendly populace. 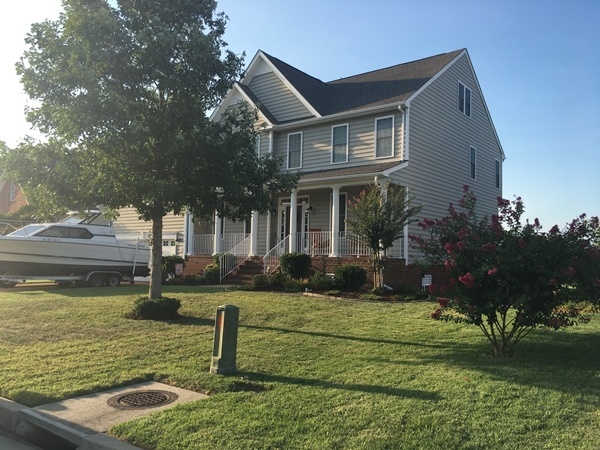 Situated within view of Bennett's Creek in desirable York county, this home is bursting with curb appeal from its covered porch to beautiful landscaping. And if it's privacy you crave, you'll love coming home to watch the changes of the seasons with the amazing view from your large back deck. 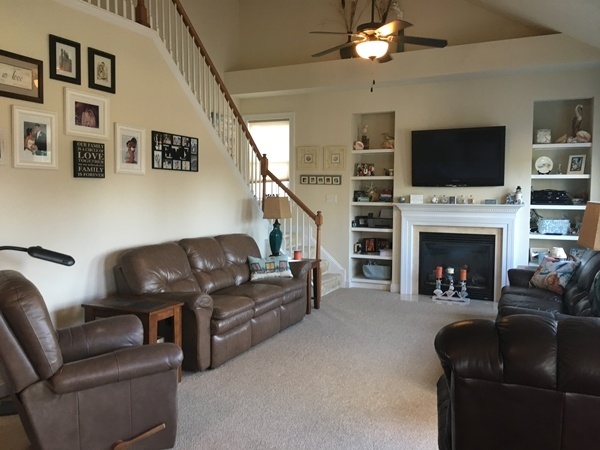 With over 3,800 square feet of living space, 4.5 bedrooms, and 3.5 baths, there's more than ample room for your family to spread out in this gorgeous home. And with the generous half-acre lot, if your clan would rather be outdoors, there's plenty of space for that, too! 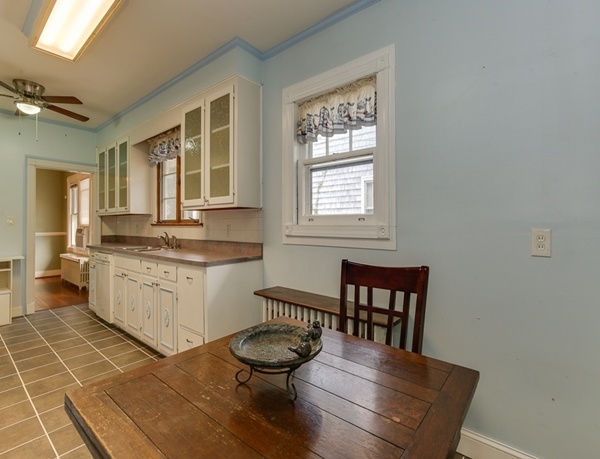 Granite counters, stainless appliances, and large pantry--the kitchen is a chef's dream. The uniquely situated home checks all the other boxes in so many other ways, too: easy to maintain wood flooring, fireplace in the great room that opens to the gourmet kitchen, a separate breakfast nook, master suite with jetted tub, and a large third floor bonus room with a full bath. Military families know that uniforms can take up more than their fair share of space! Solve that problem with his and hers walk-in closets in the master suite. 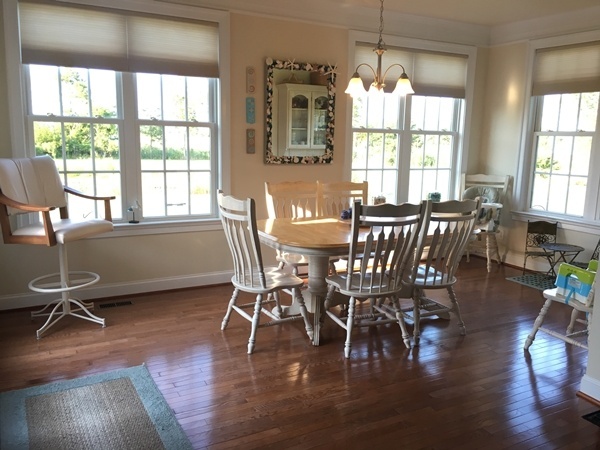 Other extras include a security system, sprinkler system, and attached two-car garage, while separate office and dining spaces round out the special features of this home. Interested, but would like to view more homes in the region? 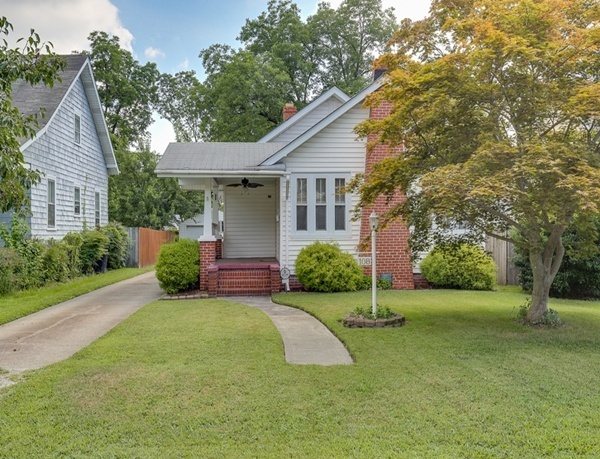 Click below to tour more homes for sale or rent in the Langley AFB area.